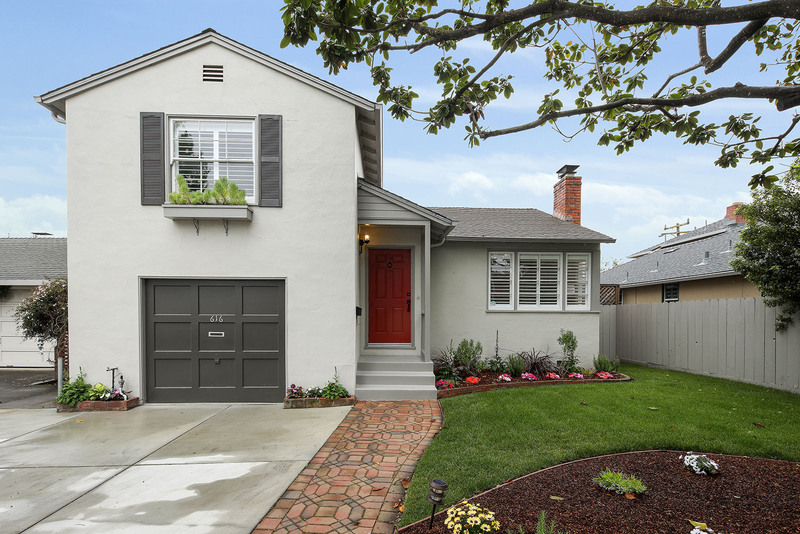 Located on the most desirable street of San Mateo's Sunnybrae neighborhood, this radiant 3-bed, 2-bath comes with expansive style and comfort. Beautiful inside and out, the approximate 1,255 square-foot, split-level home features a remodeled kitchen and baths, hardwood floors, and easy-access entertainment deck and a 1-car garage. An immediate charmer, the main floor opens up to a spacious living room with high ceilings and abundant natural light. Its fluid floor plan seamlessly connects the communal quarters to the gourmet kitchen and dining room, making entertainment a breeze. The garden-facing kitchen not only hosts granite countertops and stainless steel appliances, but also connects to a sun deck, encouraging outdoor dining in San Mateo's superb climate. Living accommodations include two secondary bedrooms with a remodeled bath and just beyond the stairway. The downstairs bedroom offer direct access to the beautiful yard, as well as the remodeled, en-suite bath, making it a perfect office or family room. The lush backyard comes with natural privacy, a paved grilling area and a lawn for child's play.